Our inaugural RS Aero Winter Series proved a gigantic success. The Series format was launched following consultation with sailors to ensure we provided a popular series and thus good participation. 6 venues were agreed to provide a good geographical spread and we prioritised 2 key events - our Winter Championships at Oxford and a bespoke event at Bowmoor benefiting from a large home fleet. The Series was scored as just the best 2 out of 6 to count, of which at least one had to be from the 2 key events. This ensured that we gave a successful focus achieving bumper turnouts of 25 and 22 at those 2 main events. It also supported keen new RS Aero locations, finding themselves on an initial geographical limb, who only needed to do their local event and then travel once to qualify. Our inaugural RS Aero Winter Championships took place early in the series at The Oxford Blue on 3rd January. To achieve a 25 boat entry at that early stage was incredible and with the breeze initially looking light 17 sailors opted for '9' rigs. Racing was tight throughout the fleet with various tussles unfolding. When the wind arrived the lightweight Aeros were quick to plane on the gusty reaches and the 5 rigs showed their potential leading many larger sails early in the race. For the The Bloody Mary our entries even came from as far afield as Luxembourg with those sailors keen to experience and complete the British classic. With winds gusting over 30kn the availability of '5' rigs made that ambition possible, otherwise it would have been a wasted trip. Bowmoor produced another great entry of 22 bolstered by their home fleet. The nearby RAF base at Brize Norton granted the Aeros their Aerospace for LPB Aerial Imagery to fly their drones. In conjunction with SailRacer's GPS tracking they used the event to showcase the combined coverage possibilities. At each event the three RS Aero classes, 5-7-9, raced each other on a PY basis producing an overall RS Aero result. It was thus possible to allow rig changing within the Series with overall results being scored per sailor, irrespective of rig. This was utilised at some stage by a large proportion of competitors which I believe increases fun and improves attendance. 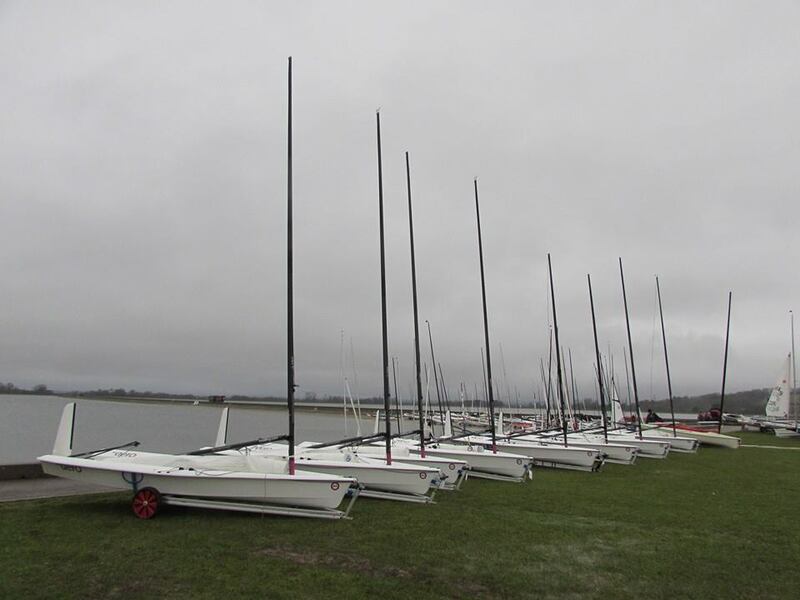 Special kudos goes to Jamie Freeman who hung onto his 9 rig in all conditions including the Grafham Grand Prix where 30kn arrived! 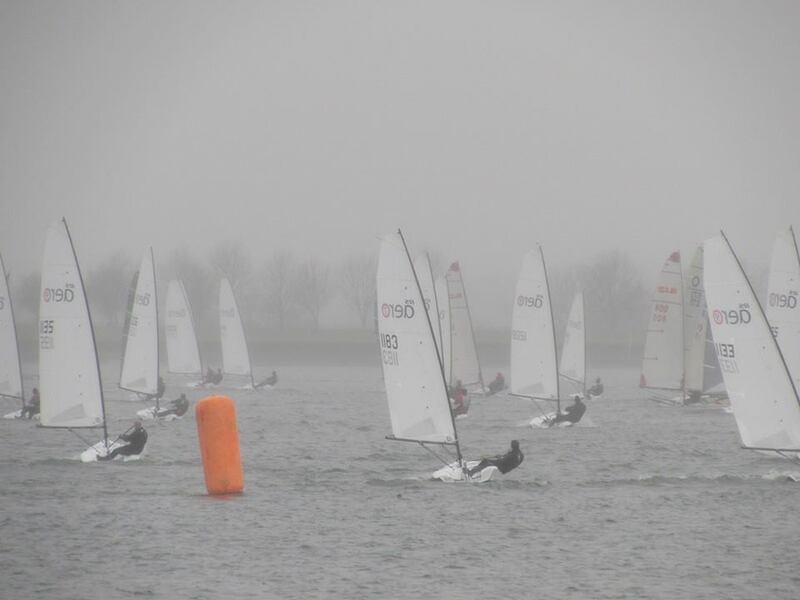 In total 40 sailors competed in the Series with 17 qualifying with 2 results or more. Well done to everyone who braved the conditions and took part. Spring is now here and we all look forward to an exciting 2015 season ahead. GJW Direct SailJuice Winter Series for allowing us to use their series to form ours. SailRacer for running our series scoring and GPS tracking. RS Sailing for providing the prizes of vouchers and accessories.